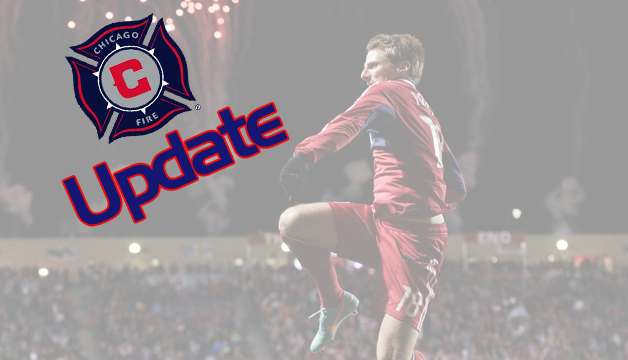 With just four days left until the team’s regular season schedule kicks off at Chivas USA, the Fire spun a deal with Vancouver Whitecaps FC. The club announced Wednesday that it had acquired midfielder Matt Watson from the Whitecaps in exchange for an international roster spot. The midfielder, born in England, has a green card, therefore not counting against the club’s international player limit. Watson began his career with the NCAA’s UMBC Retrievers, where he played in 2004 and 2005. Watson later played professionally for the Richmond Kickers (now of the USL-Pro) and the Carolina RailHawks (now of the NASL) before signing with Vancouver. Watson also played professional indoor soccer with the Major Indoor Soccer League’s Baltimore Blast. “Matt is a steady, versatile player and we’re looking forward to having him join our club,” said Head Coach and Director of Soccer Frank Yallop in a press release. In his MLS career, Watson has accrued twenty-five starts and thirty-six appearances in the regular season, tallying one assist in that time. Watson also assisted the only playoff goal Vancouver has scored since joining MLS.